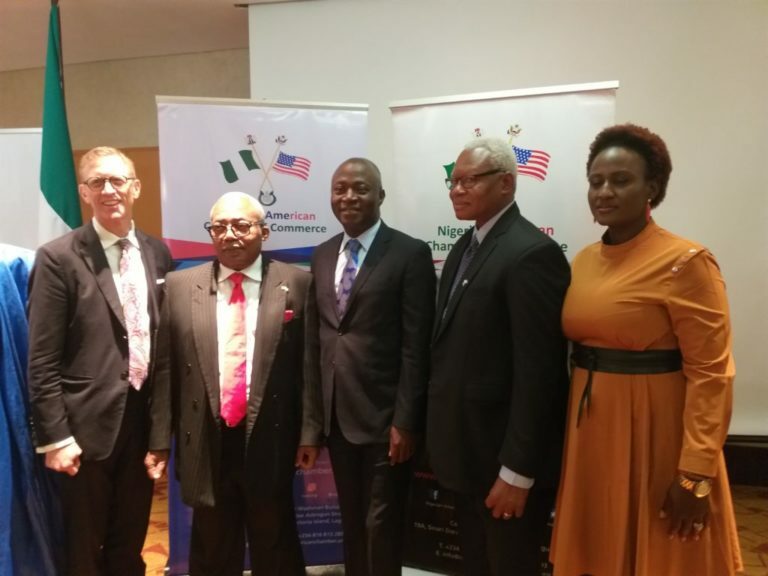 L-R: Brent Omdahl, U.S Commercial Counsellor, Otunba Oluwatoyin Akomolafe, President, Nigerian-American Chamber of Commerce (NACC), Dr Lazarus Angbazo, Chief Executive Officer, General Electric (GE) Nigeria, Russell Brooks, Public Affairs Officer, U.S Consulate, and Ms Joyce Akpata, Director-General, Nigerian-American Chamber of Commerce (NACC), . Dr Lazarus Angbazo, President, American Business Council (ABC), on Wednesday said that American companies spent about N1.5 billion on Corporate Social Responsibility (CSR) projects in Nigeria in 2017. Angbazo, who is also the Chief Executive Officer, General Electric Nigeria, spoke in Lagos at the November Edition of Breakfast Meeting of the Nigerian-American Chamber of Commerce (NACC). 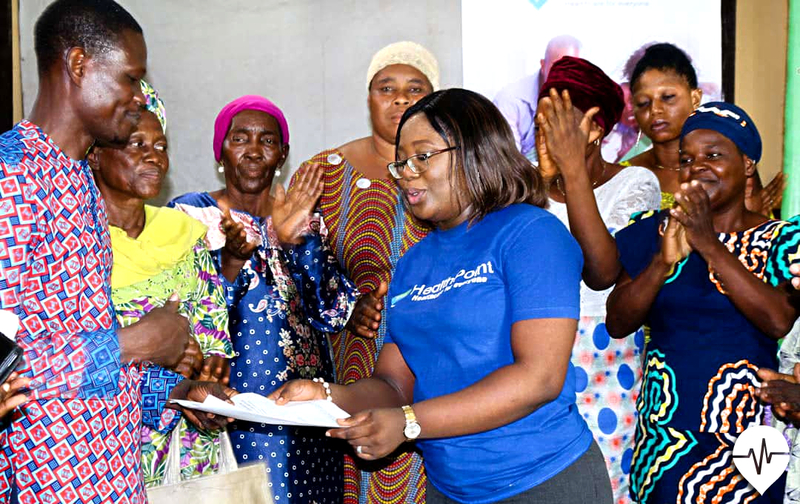 “ U.S companies spent N1.5 billion on Corporate Social Responsibility (CSR) from N217 million spent in 2016. “The focus areas are Education, Health, Infrastructure and Social intervention, which are key area of focus for U.S companies in Nigeria,” he said. According to him, the notion of social impact goes beyond philanthropy and volunteerism, saying that value chain development through SMEs is the way to lift a country economically. “Asides providing direct employment in Nigeria, we are actively developing SMEs to be part of our supply chain, because SMEs cannot grow without the experience, capacity and off take support of global companies. “We get to spread inclusivity in the economy because local companies will hire from their local communities and they will specialise in that area; that is the way to think about long term sustainable industrialisation,” he said. Angbazo said that over N1.6 billion was expended on training and development in 2017 from N340 million in 2016, which shows U.S companies commitment in capacity building to correct the deficit in Nigeria’s labour skills. He said that U.S companies created about 11, 200 indirect jobs and over 9, 000 full time jobs in 2017 toward reducing Nigeria’s unemployment rate. Also, Brent Omdahl, a U.S Commercial Counsellor, said that the advice of U.S Government to potential and existing companies to Nigeria and Africa was to utilise the solution-based approach in their investment strategy. Omdahl said that investment should not be profit centered alone, but on impacting the socioeconomic landscape of the host economies through value addition, job creation, technology transfer and skills upgrade. Mr Adil Farhat, the Managing Director, Procter & Gamble, said that the company had been in Nigeria for over 25 years and working assiduously to ensure that its various brands have positive socioeconomic impact on all sectors of its operation. Farhat said that P&G trained over 100 SME operators in business development, products expansion and profit enhancement strategy to boost SME development. Also, Mr Innocent Chukwuma, the Director, West Africa, Ford Foundation, said that the foundation does catalytic investment in areas that large organisations would not venture into. “Our grant support of 150,000 dollars to drive social impact and enhance productivity of Made in Nigeria products among Aba leather manufacturers made Bank of Industry (BoI) to commit N400 million to support the project,” he said. 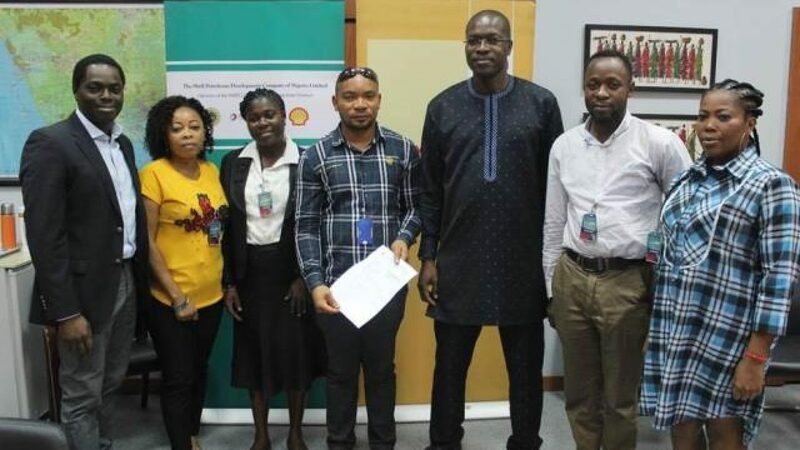 Chukwuma said that the foundation would embark on one billion dollar mission support projects to provide finance at below one per cent to entrepreneurs in the areas of affordable housing and renewable energy. Earlier, Otunba Oluwatoyin Akomolafe, President, Nigerian-American Chamber of Commerce (NACC), said that it was becoming clear that the traditional ways of solving problems through government alone was not effective.